September 21, 2016 — California State University, Bakersfield’s (CSUB) School of Natural Science, Mathematics, and Engineering (NSME) Fab Lab hosted a live broadcast of Do the Math on Wednesday afternoon. Do The Math provides students 4th – 12th grade with assistance on homework and standards based math instruction every Tuesday and Wednesday from 4-5 p.m. on Bright House Networks Channel 15/15.1. Students desiring a little extra help with their math homework can have problems solved over the phone by calling certificated math teachers on the Do the Math help lines. While on the air, our staff was able to give the background on the lab, offer a quick tour of the space, and give our special guests the opportunity to create something during the broadcast. June 22, 2016 — California State University, Bakersfield’s (CSUB) School of Natural Science, Mathematics, and Engineering (NSME) presents REVS-PUP -- Research Experience Vitalizing Science Pre-University Program -- four, one-week-long summer camps sessions in science and mathematics. 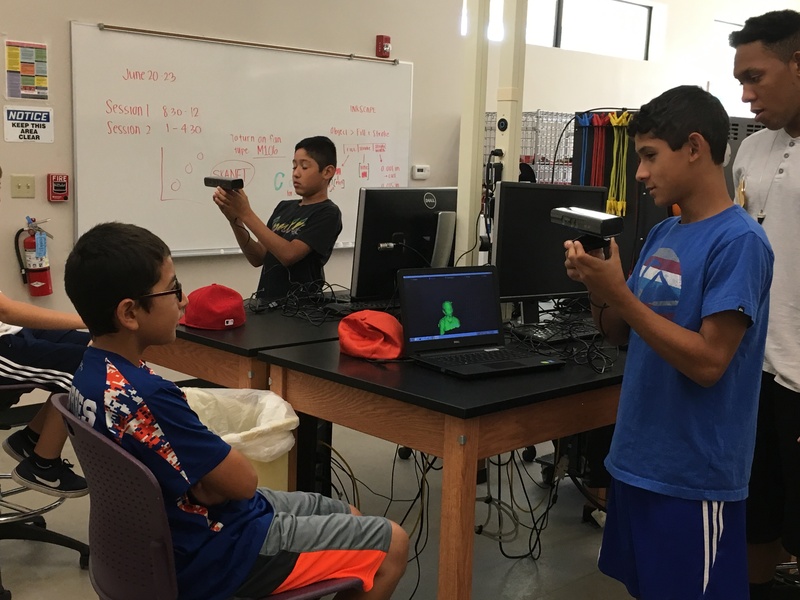 Funded by Chevron, these sessions will run from June 20-30 in the Chevron Fab Lab at CSUB and target Kern County middle school students and their teachers. 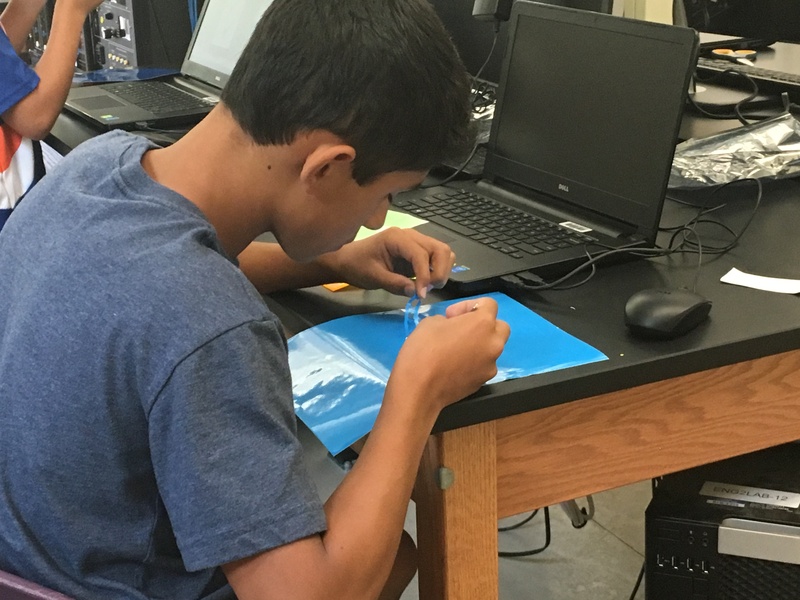 “REVS-PUP is the natural extension of NSME’s longstanding REVS-UP summer STEM research program for high school students. We felt, and Chevron agreed, that introducing even younger students to science research and the engineering design process would be a great way to inspire the next generation of STEM professionals and STEM-literate citizens,” said NSME Dean, Anne Houtman. The hands-on engineering experience is designed to pique students’ interest in careers in the science and engineering fields. 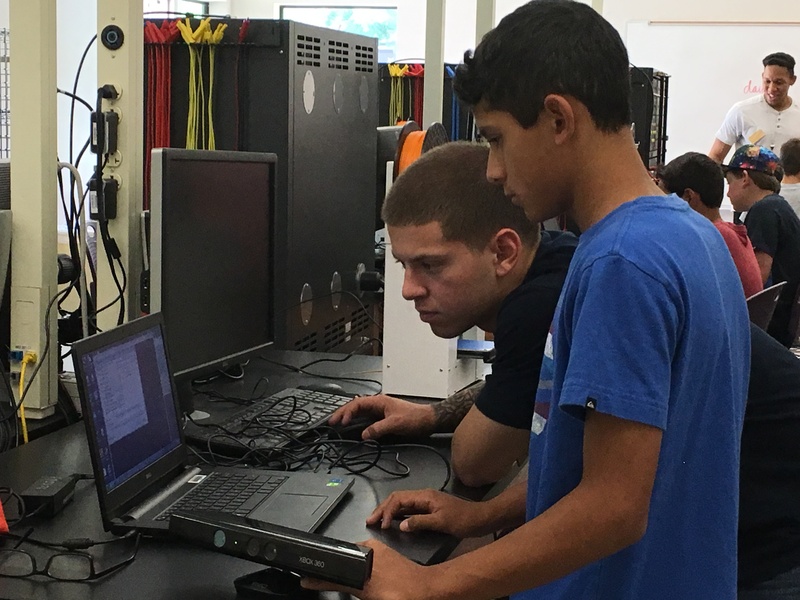 Throughout the sessions, students will become engineers and makers in CSUB’s Fab Lab, (short for Fabrication Laboratory), a digital fabrication and rapid prototyping workshop. 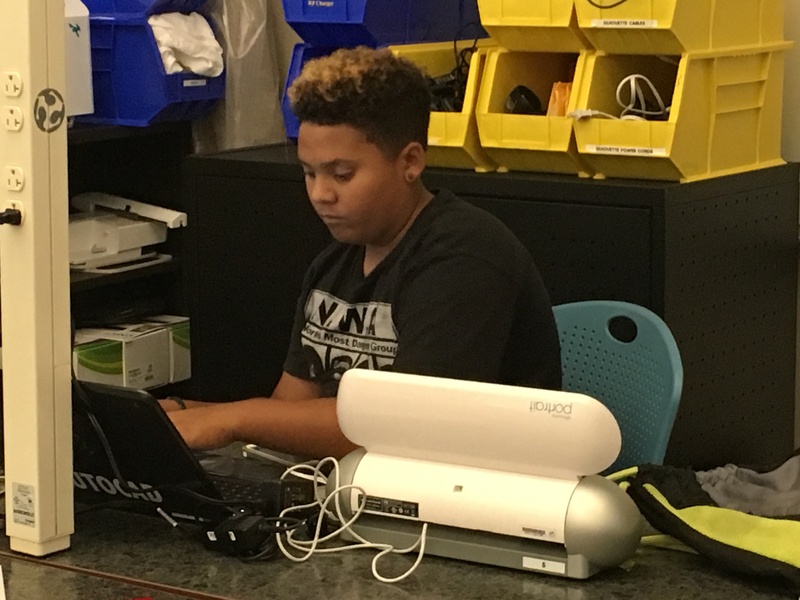 Students will learn not only about computer-aided design (CAD), but also will use various computer-controlled machines to make their own designs, which they will take home. Each day will hold a different activity for the students. On the first day, they will make custom decals with vinyl cutters. On day two, they fabricate key chains and other similar-sized items on the laser cutters. On day three, they will make custom signs with the ShopBot CNC router, a computer-controlled cutting machine related to the hand-held router, using wood, aluminum, and other materials. On the fourth and final day of the week, students will make personalized finger puppets of themselves using 3D scanners and printers. The CSUB Fab Lab is based on the MIT-designed model, which inspired MIT’s popular class, “How to Make (Almost) Anything.” Fab Labs are located throughout the world, and with the power of technology, the labs are able to communicate, create and collaborate on similar projects in different time zones and languages. Spaces are already filled for the four sessions, which will take place during the weeks of June 20 (Monday through Thursday), and June 27, with an 8:30 a.m. and a 1:30 p.m. session each day. Local media are welcome to visit near the end of any of the sessions to view students’ finished projects and designs. 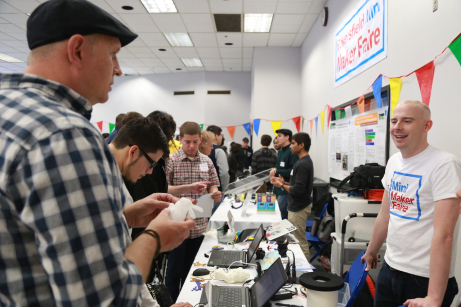 January 26, 2016 — The School of Natural Sciences, Mathematics, and Engineering (NSME) at California State University, Bakersfield (CSUB) will be hosting the first Bakersfield Mini Maker Faire on January 30, 2016 from 10 a.m.-4 p.m. in the Student Union. Sponsored by the Chevron Corporation and Make: Magazine, the Mini Maker Faire is a family-oriented showcase celebrating the Maker Movement through invention, creativity, and the resourcefulness of individuals who demonstrate a passion for building and learning. The Movement was launched in San Mateo, California in 2006, a year after the first publication of Make: Magazine. There are now more than 130 Maker Faires held throughout the world attracting 1.5 million attendees. The Faires are designed to be interactive and educational, with participants taking part in hands-on experiences and detailed demonstrations. They foster curiosity and help individuals learn more about how things work. Many of the makers are hobbyists who are creating new innovative products that help communities solve problems and promote community well-being. Through the Faire, participants will have the opportunity to explore their own creativity connecting with a unique group of designers and inventors. The Faire will include a number of booths and vendors featuring high-tech projects such as 3D printing and robotics, including a remote control lawn mower and mind-controlled race cars. Arts and crafts will also be part of the Faire to help participants connect traditional techniques such as Chinese calligraphy, henna body art, sewing, and knitting to modern-day design. “We are very pleased by the overwhelming interest of the community in our event and how quickly tickets are being snatched up,” said event spokesperson, Andrea L. Medina, Director of Grants and Outreach for NSME. This event is free and open to the public. Tickets will be required and can be printed from the website. Parking is free in lots J, K1, K2 and L, which are located off of Kroll and Don Hart Drive. December 10, 2015 - California State University, Bakersfield (CSUB) will host the local Girl Scouts to learn more about pursuing higher education in the areas of science, technology, engineering and math (STEM). Wednesday, December 16 from 6 p.m. – 8 p.m., a group of Girl Scouts will enjoy a comprehensive tour the CSUB Fab Lab and experience hands on activities. The Cadet Girl Scouts (grades 6th – 8th) will learn how to design in Inkscape, a vector graphics software package and experiment with a laser cutter to make holiday ornaments. "Girls sometime need extra encouragement so they can achieve life-long career goals, especially with becoming a STEM professional," says Robin Fleming, Chevron Public Affairs Rep and Mentor for the Alliance of Women in Energy. “The Girl Scouts, through supportive programs and volunteers, helps them get one step closer to achieving that goal."